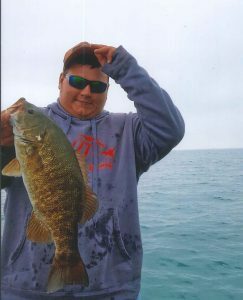 Bryan Michael “Big Bear” Moore age 22 of Marion, Ohio passed away Monday, September 10, 2018 at Marion General Hospital. He was born February 6, 1996 in Marion, Ohio to Michael R. and Tammy S. (Gosnell) Moore. Bryan graduated form Marion Harding High School and Tri Rivers in 2014. He enjoyed fishing, hunting and spending time with family and friends. He had a big heart and always willing to help anyone, his one last act of kindness he was an organ donor donating his heart, kidneys, liver and pancreas giving numerous people the help they needed. He is survived by his parents, Michael and Tammy Moore of Marion, his grandmother, Janice Gosnell of Marion, his sister, Rebekah (Preston Daniel) Moore of Marion, his girlfriend, Amanda Scholz of Caledonia, the entire Scholz family that loved his like a son and numerous aunts, uncles, cousins and friends. Bryan was preceded in death by his grandparents, Merle Gosnell, Jimmie and Connie Moore and his uncle, Roger Gosnell. Visitation will be held Monday, September 17, 2018 from 5 – 8 PM at White Oaks Road Freewill Baptist Church, 1859 White Oaks Rd. Marion, Ohio. Funeral services will be Tuesday, September 18, 2018 at 11am at the church with Pastor Grover Caudill and Pastor Kevin McCoy officiating. Burial will take place at Green Camp Cemetery. The Boyd-Born Funeral Home is honored to be serving the family. Memorial contributions may be made to the family in care of the Boyd-Born Funeral Home.